My favourite Chinese restaurant located in the Beach. Affectionately known as "The Goof" since for many years some of the neon letters in "GOOD FOOD" were missing spelling out "GOO F ". 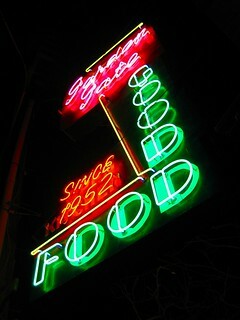 Recently renovated and while I miss the old Goof, they still have good food and the new decor grows on you.